Earlier this week, my husband came in from work with a big red plastic bag and said, “I got something for you.” I smiled as I opened the bag and discovered pounds and pounds of pears. 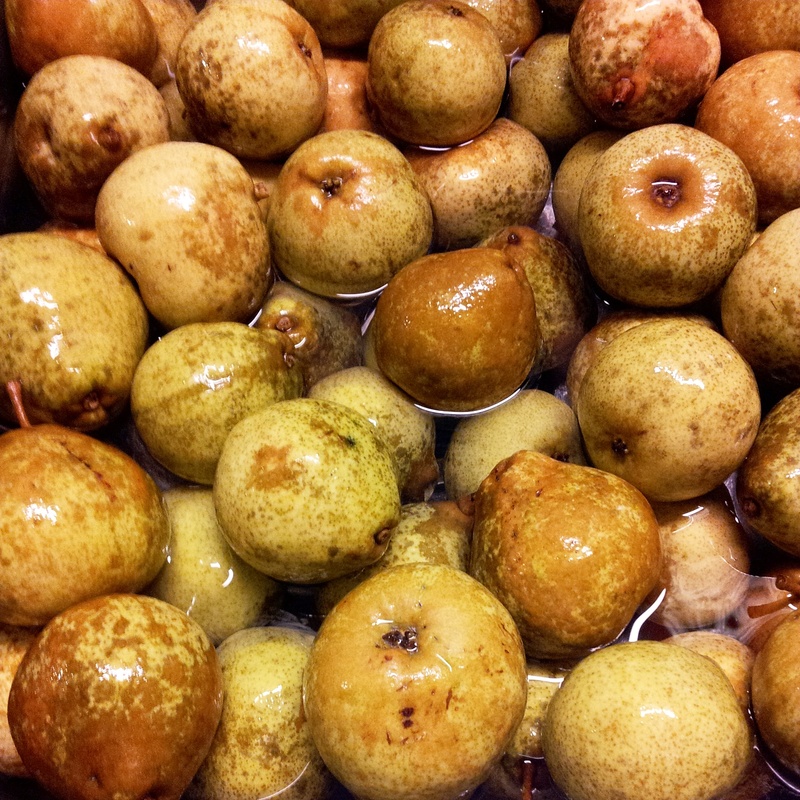 I thought to myself, “What am I going to do with this many pears? !” As the weekend came, I stood in my kitchen and just stared at the bag; I’ve never cooked or baked with pears. I’ve only eaten them raw or had them in a smoothie, maybe once. 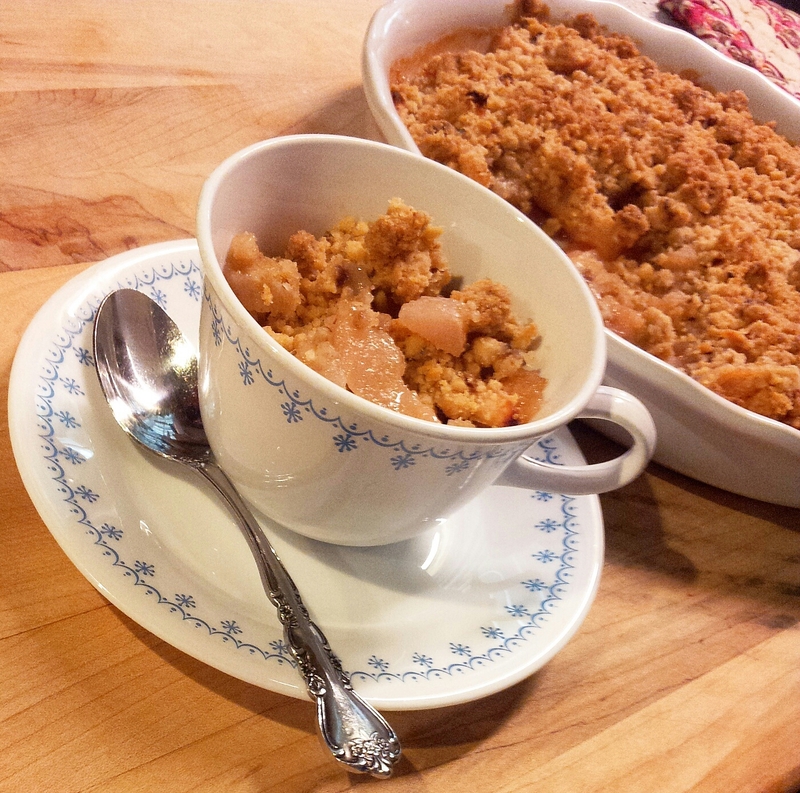 I’ve made a lot of apple crisp when I was just a newly wed, I thought maybe a pear crisp would be good to incorporate into my desserts. For the rest of the pears, I’ll have to think up something. Peel, core and slice pears. Place into a large bowl and stir together with 2/3 cup sugar and salt. Set aside. In a medium-size bowl, combine flour, sugar, brown sugar, cinnamon, and walnuts. Stir together. Drizzled melted butter and stir with a fork until all ingredients are combined. 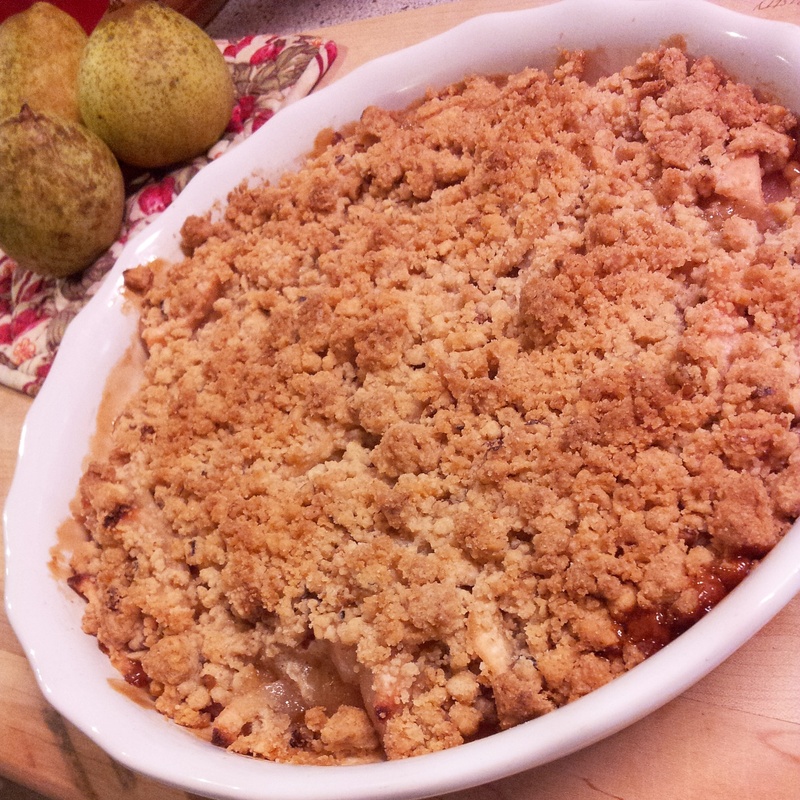 Place pears into a baking dish and top with crumb topping. Bake at 350 degrees for 40 minutes or until topping is golden brown. Yum! I love pears. I rather have pear crisp than apple crisp to tell ya the truth. Nathan and I usually buy 2 pears at a time bc they are ridiculously expensive here which makes me sad because I have this really simple & delicious recipe for baked pears with brown sugar that I haven’t made since we’ve been married. Oh well.